MadeGlobal Publishing entered Something Missing into the Nita B Kibble Award and I’ve entered the novel into the International Book Award. Now if only all the planets would align…Fingers crossed. 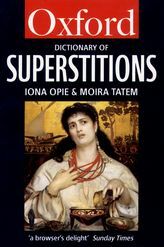 According to A Dictionary of Superstitions by Oxford University Press, to cross my fingers will prevent bad luck and I may therefore get what my heart desires. Since the inception of the Kibble Literary Awards many Australian women writers have received prizes, each benefiting from Nita Dobbie’s foresight and vision. Perpetual Trustees have the responsibility to maintain the Trust into perpetuity. To ensure female authors continue to benefit from the prize, the awards are now offered on a biennial basis, and the next to be awarded in 2018. Works published after 4th December 2015 are eligible to apply. Something Missing was launched at Swinburne University on the 11th December 2015. MadeGlobal sent four books and I had to supply proof of citizenship (birth certificate/passport) with the two cover letters and the completed application form. I feel very positive about this one. I’m definitely an Australian author and this book is about two countries (Australia and America) two women and a life altering pen-friendship. For this award I needed to send a copy of Something Missing, an entry fee (larger than expected because of the exchange rate ), a completed entry form, Promotional material (photos of myself and the cover of Something Missing, blurb, book tour questions and replies and a cover letter) With a bit of luck, this story about two women and the similarities between the Australian Outback and the Arizona Desert, many Australian and American readers will enjoy reading about Maggie and Diane’s drama and friendship. All I have to do now is sit back and wait, with my fingers crossed until the short lists are announced next year.